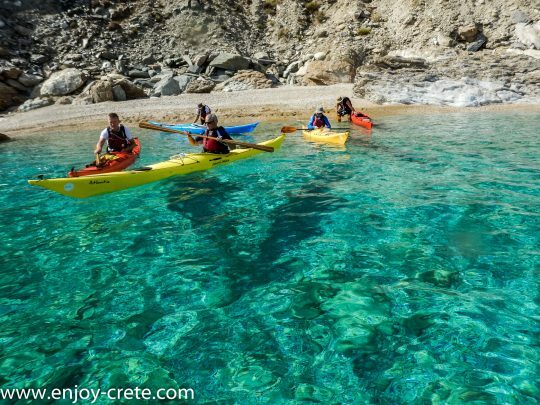 A trip suitable for everyone, a few km away from Heraklion town. 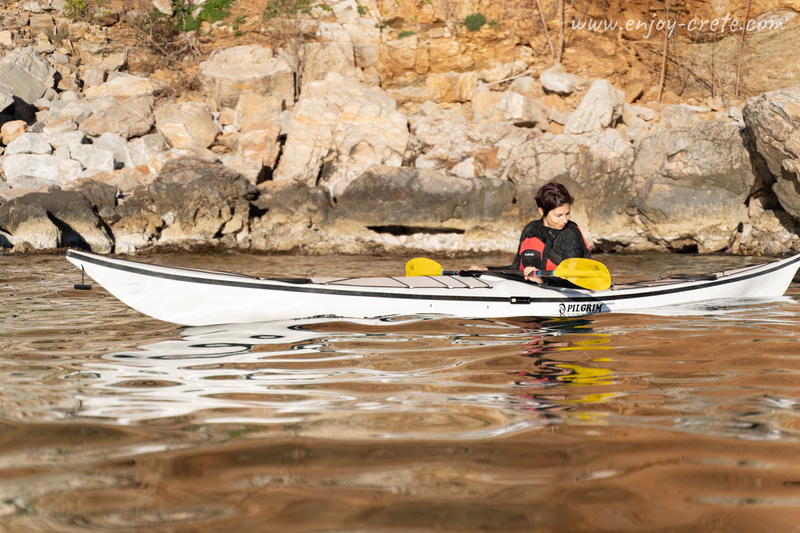 No previous experience is necessary and no need to carry any paddling equipment as that will be provided by us. 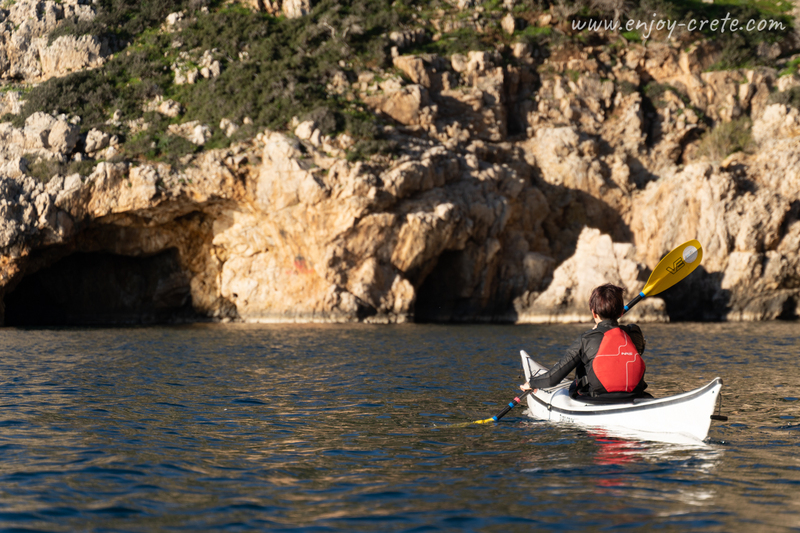 Depending the group experience and weather forecast we can either kayak to the west or eastern side from Ligaria bay which will most likely start. Beautiful rock formations, a few remote beaches and an impressive cave (see image on the right) will be discovered during our kayaking trip. You can either pack your lunch or eat in a taverna. As most of the trips we’ve got two options; the first is more or less 12 km and the longest one about 20 km for the more experienced paddlers. This is the best trip if you are staying close to Heraklion and don’t want to drive too much. 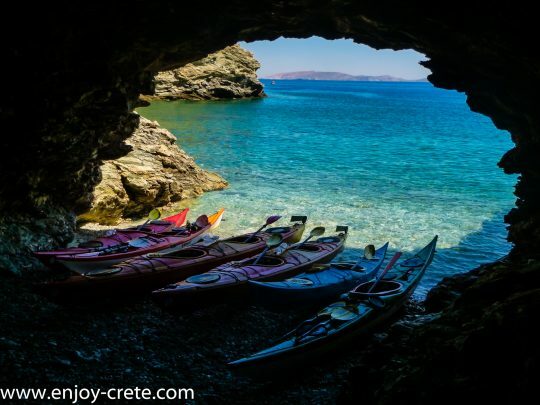 An impressive cave with an option to swim! If you don't want to have lunch in the taverna be sure you pack your lunch. Other than that you will need 1.5lt of water (ideally in small bottles),sun glasses, hat, sunscreen, swimsuit,lycra shirt or any tshirt ideally with UV protection. You will also need shoes that you do not mind getting soaked as you will get your feet wet. Ideally a light neoprene shoe will work great. Is is not required to wear shoes but they will help as the majority of the beaches are with small rocks. Check out the following link for the exact meeting point, there is a parking with free access. We pick up clients from Heraklion town and Ammoudara. If you are not sure about how to get there do not hesitate to contact us.